The Birding Africa office garden continues to attract a variety of wildlife. Barn Swallows were calling early this morning, flying overhead before migrating north, and an unusual sighting yesterday was a flock of over 50 Swift Tern. Click here for more photographs and a complete list of species in our office garden. 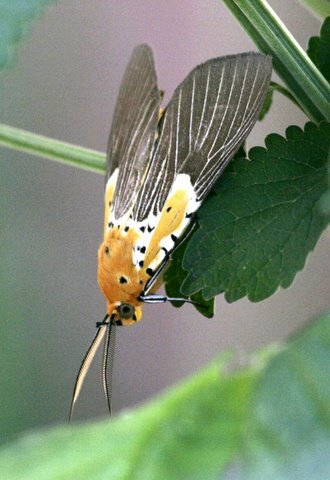 Specious Tiger Moth Asota speciosa in the Birding Africa office garden in Pinelands, Cape Town. 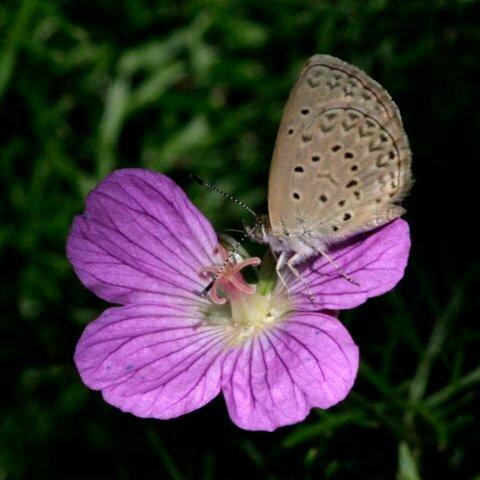 Sooty Blue Zyzeeria knysna (Lycaenidae) feeding on Geranium incanum in our Pinelands garden. 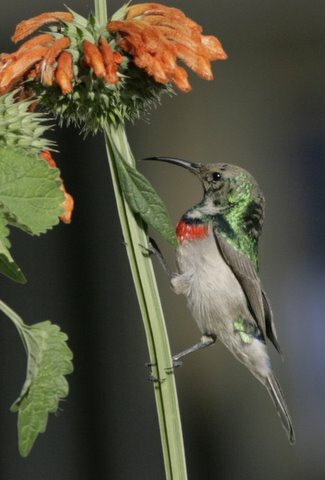 Southern Double-collared Sunbird feeding on Leonotis sp. in our Pinelands office garden. This male is coming into breeding plumage. Sunbirds will be breeding in the Cape during the upcoming winter months.